Europe Packing Guide: Fall and Winter! If you're traveling for two weeks or longer, my best piece of advice for long-term packing is to pack like you're traveling for only two weeks. Why? Since you'll either wash your clothes about every two weeks while traveling, or only travel for two weeks or less, think of any trip like you're "packing for two weeks." This will help prevent you from overpacking! TIP: Since you'll be traveling over cooler months, wearing layers will be key. Feel free to adjust this as necessary depending on where you're traveling specifically. Hat(s): a beanie works well for very cold climates, whereas chic hats are stylish year-round! 2-3 Bottoms: skinny jeans are a staple in Europe. Bring a pair or two of your favorite jeans and a stylish, sleek pair of leggings. TIP: Fleece-lined leggings or tights are super comfy and extra warm! It started to get chilly in Istanbul at the beginning of November...I could've used another layer or even a coat! This was my go-to base outfit for fall, though - skinny jeans, a nice top, sweater/light jacket, and durable shoes. 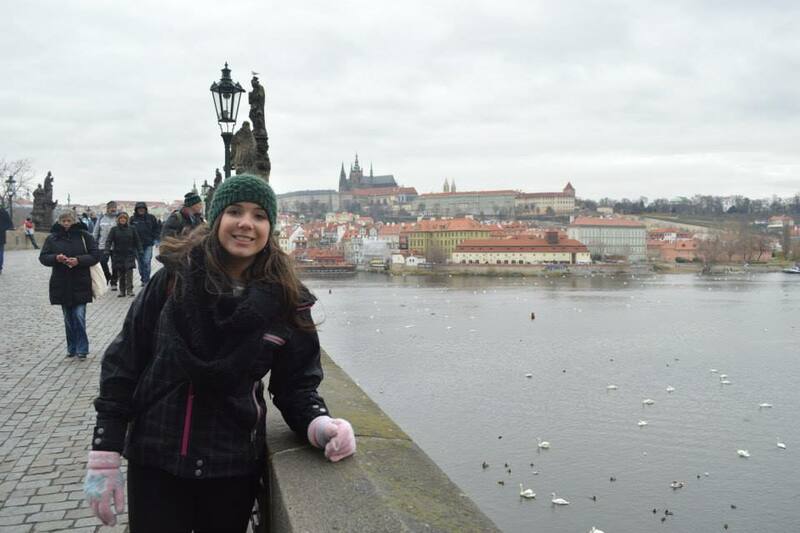 A very cold, December day in Prague! November in Interlaken, Switzerland! I didn't go up to the mountains so I was fine with a coat, sweater, and warm boots. Skiing? Consider your ski jacket. Oktoberfest? You can buy dirndl and lederhosen in Germany, don't bother with inauthentic clothing! Older PostThe Top 2017 Travel Destinations!